There are 10 kinds of people in the world: Those who understand binary, and those who do not. 10 is the number 2 in binary. 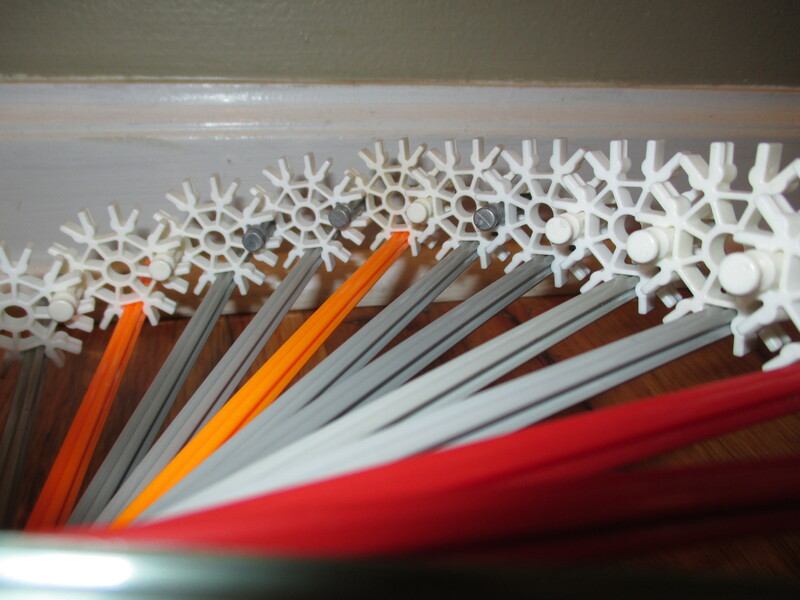 I made an Instructable for the path separator I designed for my ball machine Grid Tower II. The binary counter is my most complicated path separator. It separates balls while at the same time counting in binary. Below are the video and link to the Instructable. 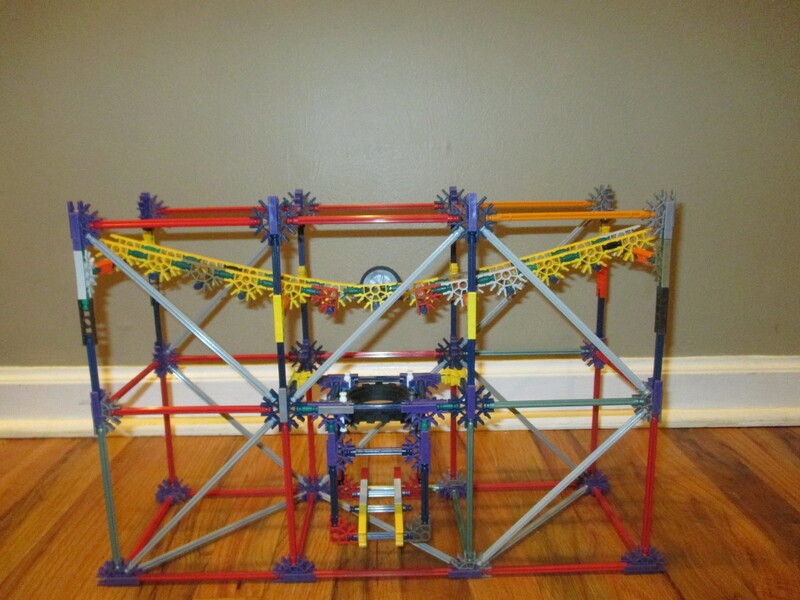 I made an Instructable for the second lift on my ball machine Grid Tower II. The lift originally had 8 arms, but I removed 4 of them to make it work better. 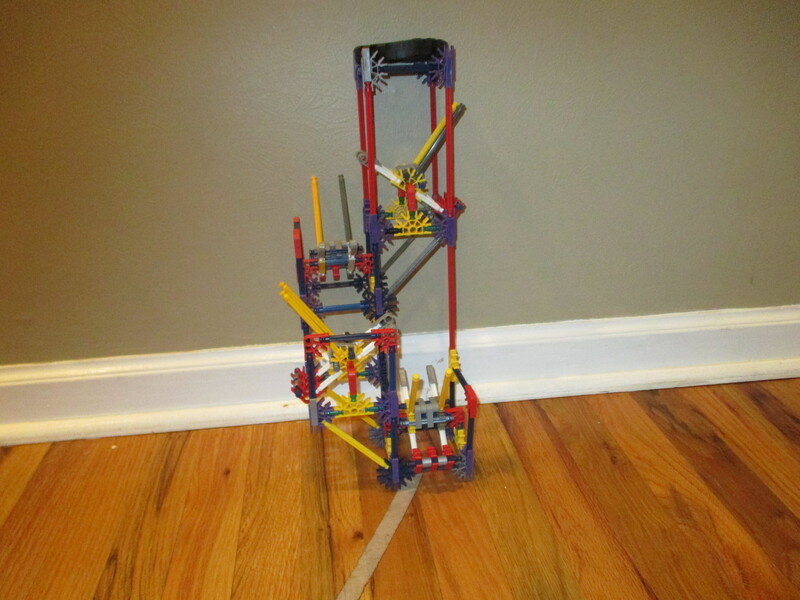 Below are the video and a link to the Instructable. 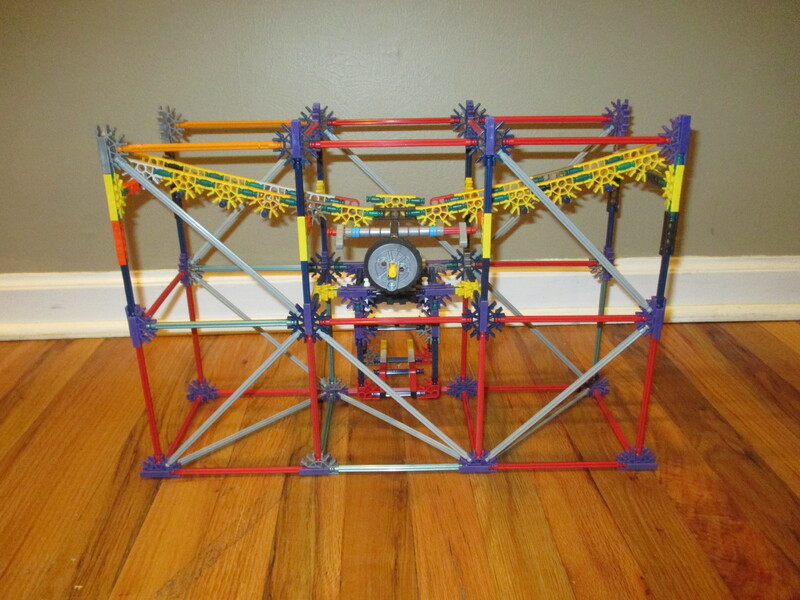 I built a K’nex ball machine that I call Concatenation. 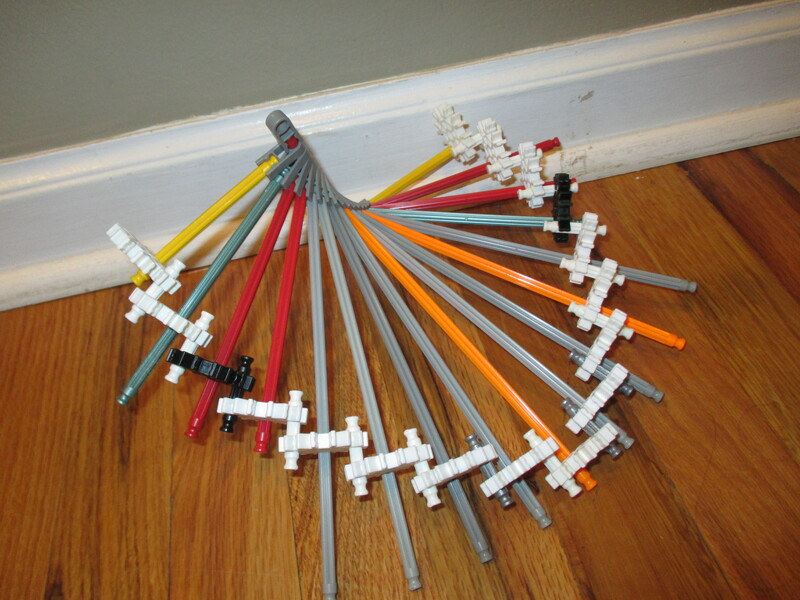 It has 3 networks and 10 paths. 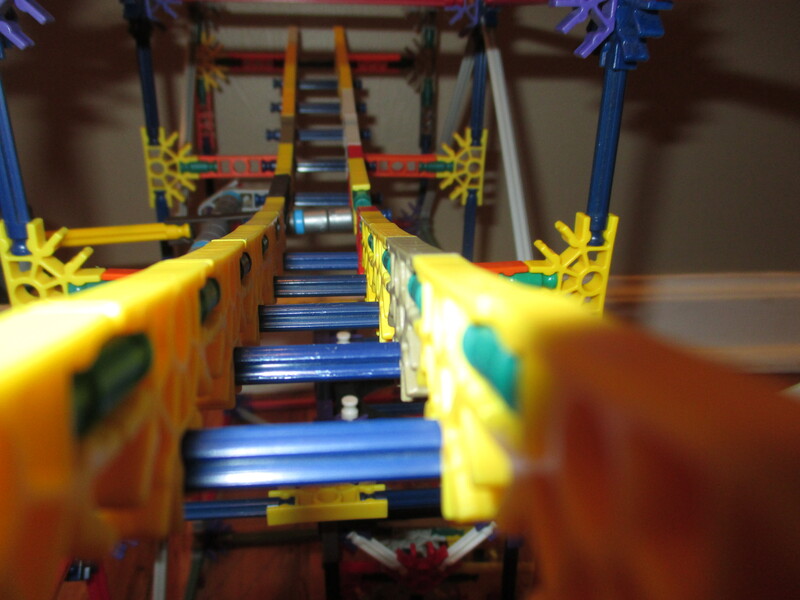 It doesn’t work as well as my other ball machines, but I think it is cool anyway! 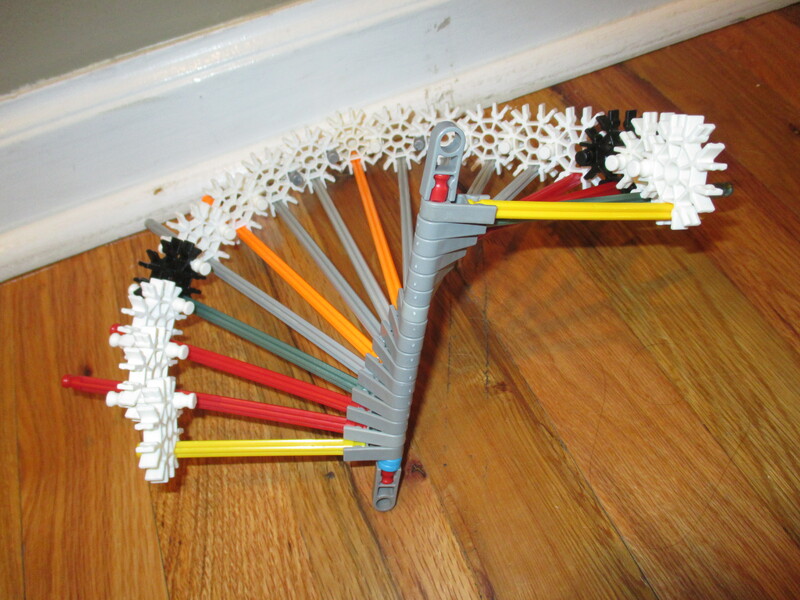 When building Concatenation, I tried something I had never done before: combining two building systems, K’nex and Tetrix Prime. Tetrix Prime is a building system designed for building robots, but I used it to build parts of Concatenation. Below are some pictures and the video of Concatenation. See if you can spot the 5 places I used Tetrix Prime on Concatenation! I made a new Instructable for an element I call Two Ball Flipper. I call this element Two Ball Flipper because when the second ball goes in, the balls flip over each other. Below is the video and the link to the Instructable.